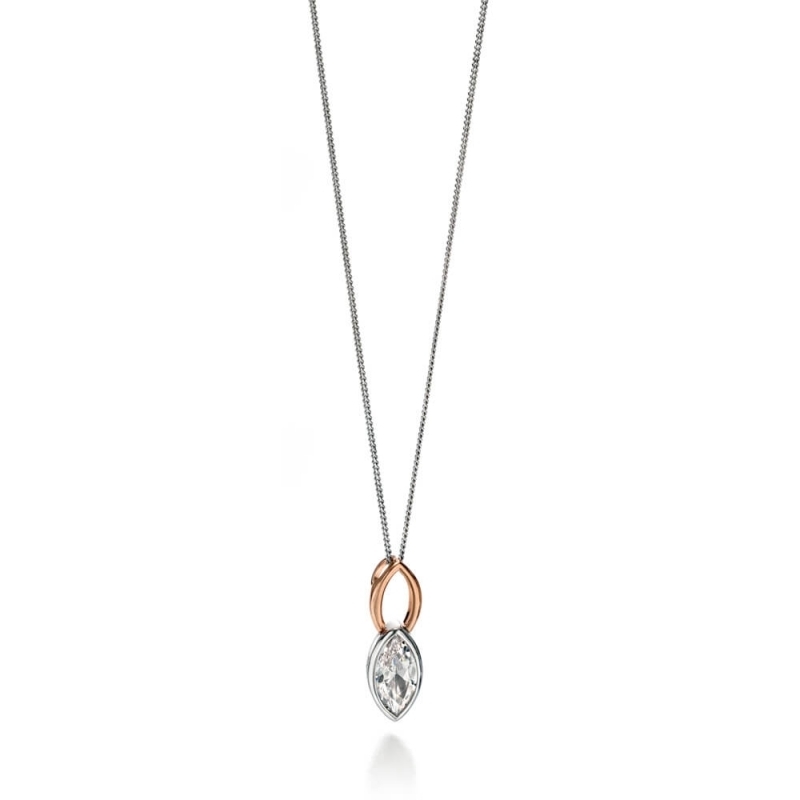 Fiorelli Two Tone Marquise CZ Necklace P4321C. Two tone double teardrop pendant hangs from a rhodium plated sterling silver chain. The faceted clear cubic zirconia stone is framed by rhodium sterling silver and is connected to the openwork rose plated tear drop above.